Historic Buildings Impact Assessments are used to inform decisions regarding alterations to a historic building by examining the physical and visual impact of specific proposals on a listed building and, where appropriate, advising on measures of mitigation to minimise any adverse impacts. TRIGPOINT Conservation & Planning has successfully undertaken a number of such heritage statements covering a broad range of buildings and proposals. The assessment typically combines an understanding of the building’s history and chronological development with a detailed visual survey of the existing building, providing an understanding of its form, function and fabric and identifying features of particular architectural significance. No. 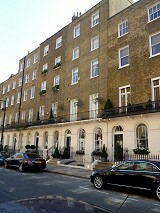 27, Chester Street forms part of a Grade II listed terrace in the heart of London’s Belgravia. To support proposals to refurbish and extend the existing property, including the construction of a new basement, Westminster City Council had asked for a heritage impact assessment to provide an understanding of the property and to assess the impact of the works. The impact assessment prepared by TRIGPOINT provided an analysis of the original room layout and fabric of the property as well as the surviving architectural features. The report was able to identify the most significant surviving features and propose a strategy to implement the proposed alterations and extensions without adversely affecting these features. The final heritage statement was submitted in support of the proposals and Westminster City Council subsequently granted planning permission and listed building consent. No. 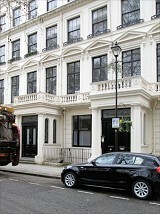 52B, Chester Street forms the basement flat within a Grade II listed terrace in the heart of Bayswater in London. To support proposals for a range of internal alterations to the existing property, Westminster City Council had asked for a heritage impact assessment to provide an understanding of the property and to assess the impact of the works. The impact assessment prepared by TRIGPOINT provided a comparative analysis of the existing and original room layout, identifying that the property had been significantly altered in the past with the consequent loss of its original room layout and most of its architectural features. The report was able to demonstrate that the proposed alteration would restore much of the original layout and would not harm the listed building. 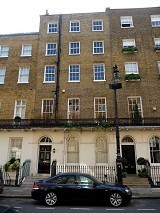 The final heritage statement was submitted in support of the proposals and Westminster City Council subsequently granted listed building consent. 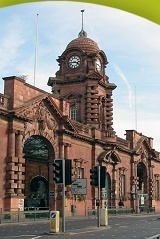 The Berridge Centre on Stanley Street in Nottingham is a Grade II listed building. To support proposals to refurbish the existing building along with the demolition of a substantial curtilage building, for use as an extension to the Forest Fields Primary School, Nottingham City Council asked for an historic building impact assessment to provide an understanding of the building and to assess the impact of the works. The impact assessment prepared by TRIGPOINT traced the development of the existing buildings on the site and provided an analysis of the original classroom layout and circulation spaces and the building’s surviving fabric. It was clearly evident that these buildings had been altered in the past, but the report was able to identify the most significant surviving features and to propose a strategy to implement the proposed change of use without adversely affecting these features. The report was also able to provide a robust justification for the demolition of a substantial curtilage building to increase the amount of space around the building. The completed heritage statement was submitted to Nottingham City Council in support of the proposed alterations and demolition leading to the grant of planning permission and listed building consent. Nos. 23-25, Station Street is a Grade II listed building that was last used as offices, but had originally been built as a Wesleyan Methodist Church with an attached Sunday school. To support proposals for a change of use to residential use along with a range of internal alterations, Mansfield District Council had asked for a heritage impact assessment to provide an understanding of the building and to assess the impact of the works. The impact assessment prepared by TRIGPOINT provided a historical summary of the building’s development with an analysis of the existing and historical room layout and circulation spaces, identifying the changes that had taken place as the building was adapted for different uses. 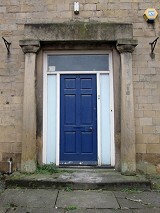 It was clearly evident that this building had had a complex history, but the final heritage statement was able to inform the plans submitted to the Council, demonstrating that the proposed alterations for the change of use would not harm the listed building, and Mansfield District Council subsequently granted planning permission and listed building consent. A comprehensive scheme for the refurbishment and re-use of the former farmhouse and its associated farm buildings, which are Grade II listed, to provide five new residential units was promoted by the Chatsworth Settlement Trustees. To support these proposals TRIGPOINT produced a planning and heritage statement providing a historical and chronological summary of the farmstead’s development with an analysis of the buildings’ historical and functional uses to provide an understanding of the property. 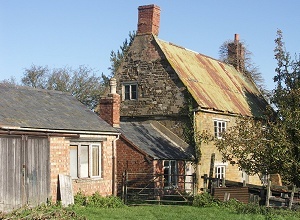 The planning and heritage statement was able to demonstrate that the proposals offered a viable long-term economic future for this group of listed buildings without harming their historic and architectural interest, and Bolsover District Council subsequently granted planning permission and listed building consent. To support proposals for the redevelopment of a site on the edge of the Grantham Conservation Area for a new supermarket, TRIGPOINT produced a heritage statement to assess the impact of the proposed development on the setting of the neighbouring listed buildings and the character and appearance of the Grantham Conservation Area. The assessment was able to show that given the nature of the existing urban environment along Watergate, the proposed foodstore would not harm the overall character or appearance of the Conservation Area or the setting of the neighbouring listed buildings. No. 60-62 Constitution Hill, Birmingham is a Grade II listed building within the Jewellery Quarter Conservation Area. Having been used as a warehouse for a number of years, proposals were brought forward to convert the property to flats, a restaurant and offices. The impact assessment was able to trace the chronological development of the existing buildings on the site, identifying the original buildings that had been built in the early nineteenth century as offices and workshops from buildings added at the end of the nineteenth century when the building was in use as a foundry. The impact assessment was used to inform the proposed development and was able to show that the proposals offered a significant opportunity to secure an economically viable new use for the building without significantly harming its special architectural and historic interest.